Are you tired of the holidays! Does the thought of the holiday season approaching get you down? Do cheerful shoppers and bumper to bumper traffic get on your nerves? 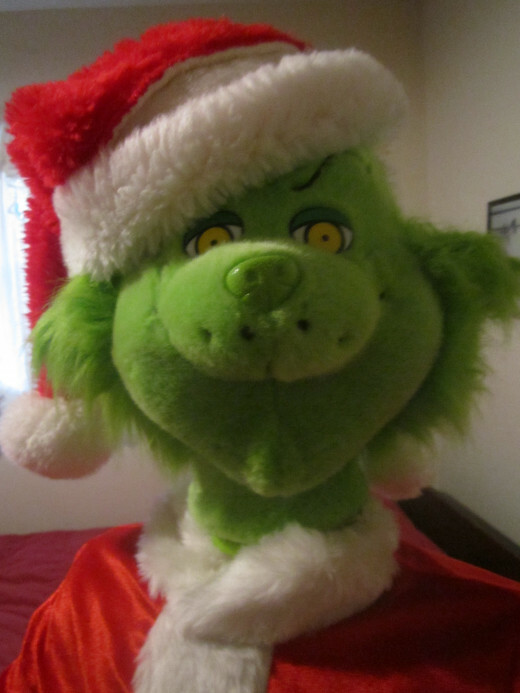 Are you feeling kind of grinchy this year? Well, don't cancel Christmas just yet. There are several things you can do to try to get yourself in the Christmas spirit. Start working on yourself early in the year to get your heart and mind ready for this Christmas season. Even the Grinch's heart "grew three sizes that day!" You're probably heard the phrase "pay it forward." The idea behind that is to simply do something nice for someone, and, in turn, that person will do something nice for the next person, and the kind act will continue on from person to person. Getting your mind's focus off yourself and instead thinking of someone else is something that can bring a joyful feeling to you as well as the one you are helping. This person that you choose as your recipient of paying it forward does not have to be someone you know. It's actually way more meaningful if it is a stranger, as it's even a more significant random act of kindness when you do something unexpectedly nice for someone that you have never even met. The most common idea I hear for paying it forward to a stranger is paying for the order in the car behind you in the drive-through area of a restaurant. If you don't eat fast food, though, you're out of luck! So let's look at some other options that may be more your speed. Contact a nursing home to set up visits with a resident who gets few visitors. Volunteer at a center for special needs children. Take food to someone you know is a shut-in. Help an elderly person carry his or her groceries. Offer to help your elderly neighbor with taking our the trash or other chores. Help out at a soup kitchen. These are just a few ideas of things you can do with people you know or not, to show that there are still generous, caring people in the world. Hopefully, the ones you touch will also pay it forward when they can. This Dancing and Singing Grinch Should Get You in the Spirit! Has a rift between you and a family member kept you from seeing each other for years? Do you think about the special times you used to have with a long lost friend? Even if you can't make the relationship what it used to be, wouldn't it feel good to get rid of that sad, perhaps ugly, feeling in your gut and get some closure? Do what you can to contact that person to release the sadness and bitterness that you've been harboring all these years. Try mending relationships with people from your past--or present--and start with a clean slate. Whether the break-up was your fault or not, you will feel better knowing that you did what you could to "fix it." There are a lot of sincere ways to say that you're sorry. Just sending a note to let the person know that you're sorry about what happened to your friendship, even if you don't acknowledge fault, could mean a lot in alleviating past hurts. Who knows? You might have a surprising reunion that will bring joy to you this holiday season and all year long. Shopping for Christmas gifts can be one of the most stressful--and expensive--things at Christmas. There are those shoppers who thrive in the midst of a holiday crowd of shoppers. If you're not one of those, you still have many options. Shop online. Besides avoiding the holiday crowds, you can often find excellent--or even better--deals at online stores. Shop early: Buy presents at after-Christmas sales for a fraction of the original cost. Keep your mind open for Christmas gifts throughout the year. Pick up a gift item here and there as you see something that would be perfect for a particular person. Start a "gift closet" (a shelf or even a drawer works) for these gifts that you collect all year long. Don't be extravagant: Don't feel that you have to outdo anybody else. Keep it simple and thoughtful. There is no reason to go into debt over a holiday that comes every year. Think (or shop) outside the box. If going to flea markets is something you enjoy, pick up a present or two while you're there. Many people collect at least something, and where better to find a gift to add than at a flea market or antique mall. Flea markets have all kinds of neat gift ideas.You might even find like new items at a quality garage sale in the summertime. Making easy homemade Christmas gifts is not only less costly than store-bought presents, but they add the personal "I really thought about you" touch. Get the whole family in on this as you exchange Christmas presents from the heart. If you knit, crochet, or sew, work on projects throughout the year as you sit to watch TV or just relax. Give homemade baked goodies in an attractive dish. String beads to make earrings, necklaces, bracelets, or other jewelry. Use your skills! Decorate a frame and put your own drawing, picture, or special photo inside. Make pillows or cloth napkins. There are many ideas out there, so get started early! Get in the Christmas Spirit All Year Long! Keeping your shopping affordable will take a lot of stress off you this holiday season. Spreading out your buying throughout the year will ease the frantic shopping during a hectic time of year. Making the gift yourself will add a personal touch and bring more joy to the gift-giving experience. Pay it forward all year long, and see if you don't feel better by the time Christmas comes around. Chances are that you will! Do you ever have any trouble getting into the Christmas Spirit? No, never! I'm always ready! I wanna play Santa Claus! Sometimes. It depends on the year and what is going on. Yes. I'm a real Scrooge when it comes to Christmas! All wonderful and great ideas. I especially like the idea of paying it forward and keeping that spirit of mind all year long is a life enhancing way of life. Thanks, HoneyBB! I appreciate those kind words of encouragement! Sherry--I'm having a hard time decorating. It takes me a while. I didn't last year, so I must this year. Gotta just make myself! Maybe that will work! It's supposed to be colder this week, so maybe that will help me get in the mood, too! I have been making scarves, hats and afghans for the family, all year. Those seem to be highly cherished from me. I alternate so someone doesn't end up with thirty afghans and someone else with twenty scarves and hats. I also make a sweater once in a while. They all see me working on them but have no idea who is going to get them. Sometimes I don't even know until they tell me that they really love something. Then I will try to get that item to them, if I don't forget who said it before I finish it and can label it. Wonderful ideas. These are great ideas, here's another one that worked for me. I never decorated much for Christmas, and it was hard for me to get into the spirit. Then one year at work a couple of friends and I decided to do really over-the-top tacky Christmas decorating. We bought all kinds of crazy decorations from the local thrift store and put it up in our work area. Being surrounded by those decorations worked some kind of magic, and I really began to feel the spirit. I wish everyone would take your advice! Sure would make for a nicer Christmas season. I voted this Hub and shared. Hey, CC! I need to pay it forward more than I do! I did leave my quarter for the cart in the slot at Aldi this morning for the next person. LOL. I'm ready for a break--that's for sure! Good to see you! Wonderful hub and ideas! I love what you're saying and I love the pay-it-forward idea. I need to remember that. :) Hope that your semester is finishing up well - you deserve a break! teaches--Christmas will certainly be here before we know it. It doesn't hurt to get ready early! Thanks for stopping by! This Christmas season is really just around the corner and your attention to it now has reminded me I need to get things in order. Great suggestions on how to celebrate in the right spirit and with less stress. I agree that shopping online is a good option and keeping it simple is a great idea. Voted up. Ah, TT, you ARE an expert! TT--Great idea about the coupons. That's quality time, which is better than a gift any day! That's so neat about them making things for each other together, too. Wow, you should write a hub, too, about this topic based on your friend's experiences! V, this is a wonderful hub packed with some outstanding ideas! My best friend decided to give everyone in her family a coupon to be used for "time." The coupons were good for a day to spend time playing board games, having lunch, going through old photo albums, etc. A few months after giving out the coupons and everyone using them, her father passed away. While understandibly upset, she was so happy she got to spend some very precious time with family. It's become a tradition in her family. They even get together the day before Christmas and, as a family, make presents for each other, together. Now that is a family that understands the true meaning of the season. I will be passing this hub along to her. :) Great job! That's great, talfonso! that will be such a blessing! CC--Maybe I'm talking about Christmas in July because I'm trying to get MYSELF in the mood. LOL. Thanks for coming by, sis! rcrumple--I totally agree. More Christ in Christmas would put more spirit in to everyone. Thanks for your awesome comments! Thanks, carol! Yep. Christmas in July! I think many of us have or do overdo things at Christmas. I think we could do better to make it more meaningful. Thanks for the comments and vote! Something to think about this Christmas season. I'm considering volunteering at that time - so many can't afford food and I want to help! Exactly, Ron! I love gifts with meaning. Glad you concur! Thanks for the wonderful input! When in radio, I used to do a "Halfway to Christmas" show on June 25th every year. But, that was in radio. In reality, I'm a Grinch. 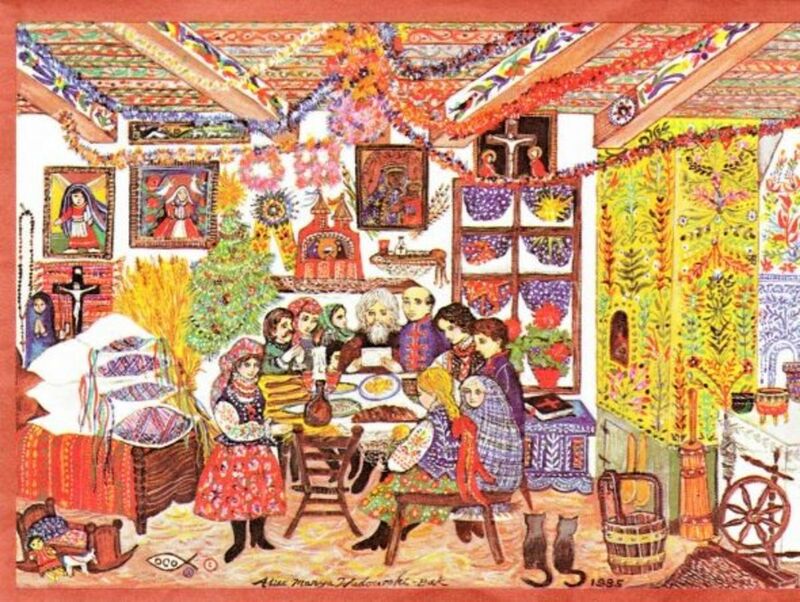 When I got old enough to understand, I recognized my relatives were using the day to try to out do all the others with the gifts they'd received. Seemed like the meaning of Christmas was being cast aside for egos. I enjoyed buying for the girls to see their faces on Christmas morning, and of course, I still enjoy buying for my wife (I'm obligated to say that, truth or fiction). However, for most others, it seems more like a duty than a desire. I'd really like to see more Christ in Christmas, but even that's becoming a thing of the past. Great Hub! Very clever and fun. Kind of Christmas in July. Sometimes Christmas becomes a frenetic experience of gifts. Unfortunately kids are often brought up today with thinking totally about themselves. Great hub and voted UP. What a wonderful hub. I'm sold. I agree. I especially love the part about home-made gifts. I appreciate all gifts but cherish those thoughtfully made by someone. I'd rather get one present once every ten years which has that kind of care put into it. The rest of the years, a card will do, or even a hand-written note. Those are all personal. How much thought is there in a Chinese made trinket when millions of other people got the same thing for $9.99?